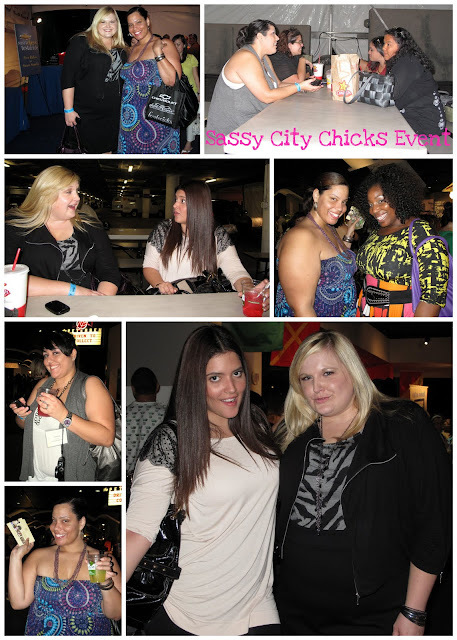 On November 4, 2010 I attended the Sassy City Chick Fashion Bash in LA. I was there in the spring and met Monique from Curves and Chaos in person for the first time! (video can be seen here) It was our anniversary! When I got invited again this time I definitely said yes. Monique and I invited some new friends to join us in the fun. Nik, Reah, Denise, Marie, and Ivory joined us for some shopping, test drives, food and drinks. We got treated to some test drives from Chevy's new cars, and were also driven to Carl's Jr for some food. Spa treatments were also available but by the time I got there the sign up list was closed. No massage for me again! The girls and I enjoyed some drinks and browsed all the vendors meeting so great local designers. 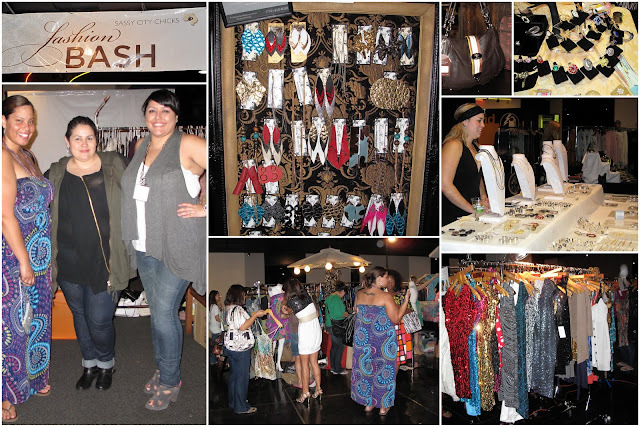 I personally didn't buy anything, mainly because I was low on funds and there were no plus clothing vendors. The accessories, shoes and jewelry were great I had my eye on so many cool things. Overall the night was fun hanging out with the girls and getting to know them all better. Some of the vendors on display, saw lots of new and vintage jewelry I want! If you ever get a chance to attend Sassy City Chicks Fashion Bash you definitely should. Hopefully our suggestion to add plus size vendors will be taken seriously. I enjoy attending these type of sample sale shopping events and wish we had more including plus sizes. Do you ever attend sample sales knowing they don't carry your size? Do you attend hoping to find something that may fit? Or do you avoid them completely? Love to hear you thoughts and feedback.